Soul Serenade: Al Green, "Love And Happiness"
Mabon “Teenie” Hodges died a couple of weeks ago. That name might not be familiar to you, but if you’ve ever listened to one of the great records by Al Green, Ann Peebles, Otis Clay, or Syl Johson that came out of Memphis on the late Willie Mitchell’s legendary Hi Records label, you’ve heard the unmistakable sound of Hodges’ guitar playing. It didn’t stop there however. Hodges was also a great songwriter, responsible for several of Hi’s greatest hits. Hodges was born in Germantown, Tennessee in 1945. By the time he was 12 years-old he was playing guitar in his father’s band, the Germantown Blue Dots. His brother Leroy had formed a band called the Impalas. Willie Mitchell’s stepson was in the band, and they would rehearse at Mitchell’s house. One night Hodges showed up, determined to have Mitchell hear him play. Things didn’t go as well as he hoped that night. Despite being unimpressed by Hodges’ playing, Mitchell took the young musician under his wing, and eventually unofficially adopted him. Hodges moved into the Mitchell house and spent seven years living with and learning from Mitchell. By 1965, Hodges was an integral member of Mitchell’s band. His brothers Leroy and Charles also joined on organ and bass. Howard Grimes had been an important player in the development of the early Stax Records sound. When he joined the other musicians, the Hi Rhythm band was born. Archie Turner was added on keys later. The band played live shows as well as playing on Mitchell’s records and those of other Hi artists like Ace Cannon, Charlie Rich, and Jumpin’ Gene Simmons. By the late ’60s Mitchell had taken control of Hi Records, determined to make it a full-fledged R&B label. He cut back on the band’s tour dates so that they could spend more time recording in his Royal Studio. Over the next few years Mitchell, along with the Hi Rhythm Band, were continually innovating, changing the game in terms of what could be done in the studio. Hodges, who was Mitchell’s muse, was at the center of all that. It was primetime for Al Green, and Hodges was Green’s co-writer on two of Green’s most famous records, “Love and Happiness,” and “Take Me to the River.” Other Green hits that Hodges collaborated on included “Here I Am (Come and Take Me)”, “L-O-V-E (Love)” and “Full of Fire.” During this time Hodges and the band also toured with Syl Johnson, and O.V. Wright, and played on countless sessions at Royal. By 1976, Al Green had gone to church, and Hi Records had been sold to Alvin Bennett. The changes proved too much for Hi Rhythm. The band broke up, and Hodges stopped playing for a couple of years. He came back in 1979 and spent the next two decades touring with Albert Collins, and O.V. Wright. Occasionally he would get the band back together during this time. The new century found Hodges playing in Cat Power’s Memphis Rhythm Band, while he continued playing sessions around town, mostly at Royal. During these sessions he played with artists like Sam Moore, Boz Scaggs, Mark Ronson, and Drake, who is Hodges’ nephew. In 2008 filmmaker Susanna Vapnek began production on a documentary about Hodges, and spent the next few years filming Hodges around Memphis and interviewing his family and friends. 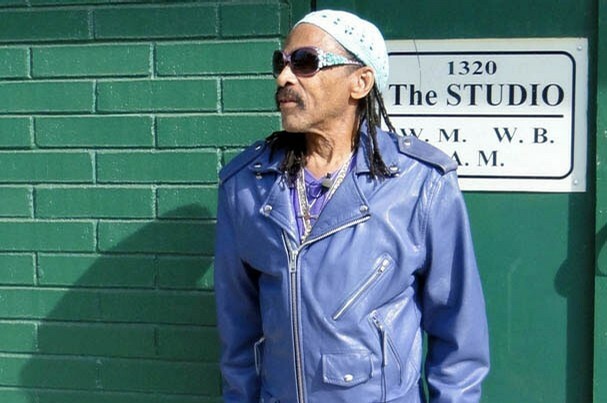 The film, “Mabon ‘Teenie’ Hodges: A Portrait of A Memphis Soul Original,” was screened to great acclaim at several film festivals including the Indie Memphis Film Festival in 2013. In March of this year Hodges performed at SXSW. Following his appearance he was taken to Baylor Hospital in Dallas to be treated for pneumonia. He died there on June 22. In that 2007 interview with the Commercial Appeal, Hodges was asked to reflect on his contributions to the world of music.